BLP supporters went to the headquarters in their numbers. Mia Amor Mottley has truly made Barbados' 2018 General Election one for the history books. The Leader of the Barbados Labour Party (BLP) is the first ever female Prime Minister Designate for the Government of Barbados. Another first for her is that fact that she won her constituency - St. Michael North East with more than 4 000 votes. And she along with her team of 29, painted the entire country red from St. Lucy in the North to St. Michael in the South and St. James in the West to St. John in the East. 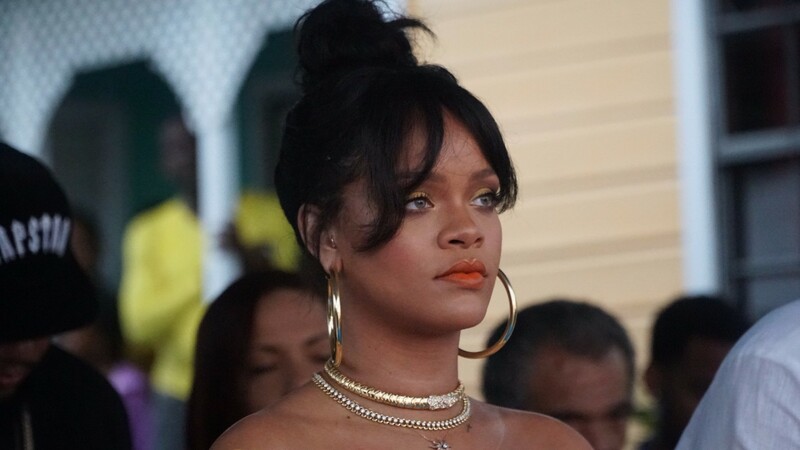 But she gave the biggest win over to Barbadians saying, "I want to thank you the people in particular. This victory is not mine, This victory is not the Labour Party." She said that this victory belongs to the people of Barbados. 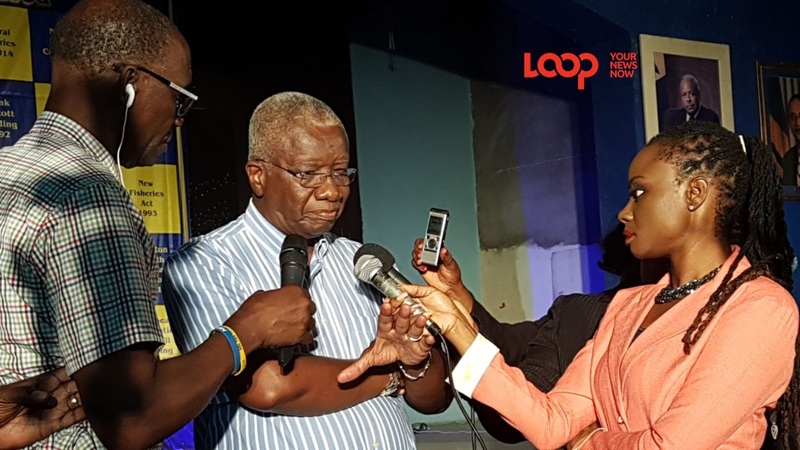 Shockingly outgoing Prime Minister Freundel Stuart too created history yet again by conceding the election. To some, he sounded like a broken man as he spoke with hunched shoulders and a cracked voice. He looked close to tears as he took all the blame for his Party's failure. Stuart made his decision known just after 3:00 am, this morning, Friday, May 25, 2018. At the St. John constituency, 19 boxes out of the 22, had been returned and announced by that time. The Auditorium at The Lodge School fell quiet as persons spoke in hushed tones while huddling around smartphones to hear Stuart's message. Even the newly elected representative for St. John, BLP's candidate Charles Griffith stood still, with headphones on and listened intently to the message of the outgoing Prime Minister. Speaking to the media after, Griffith said he never expected that move. "The Democratic Labour Party does not roll over and play dead". 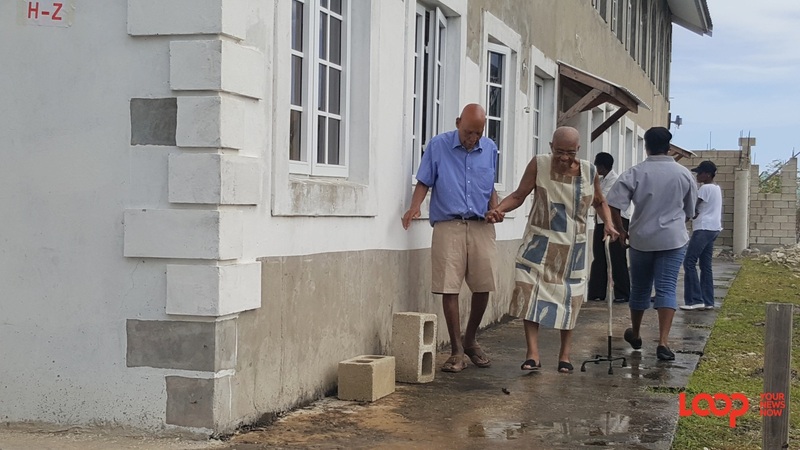 He said he knows the BLP knew it would be a fight and from the day the bell rung and Stuart called elections for May 24, 2018, the BLP kicked off their campaign and they were a step ahead of Dem every step of the way. 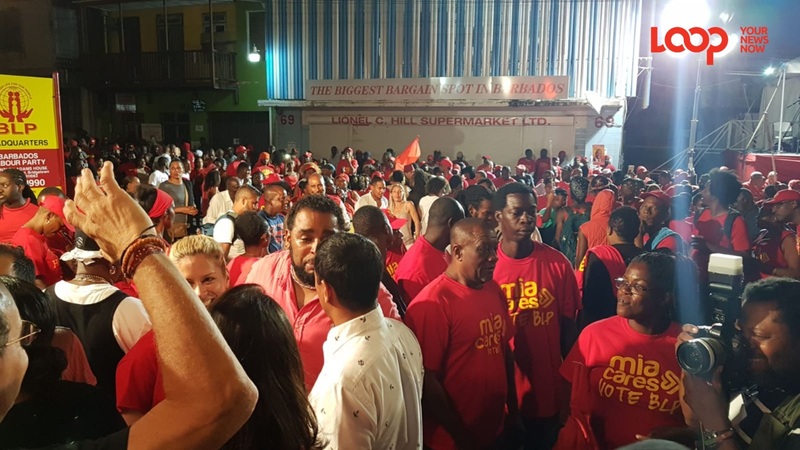 There were thousands gathered at the BLP Headquarters in Roebuck Street for the Victory Party after the BLP's 30-0 clean sweep. 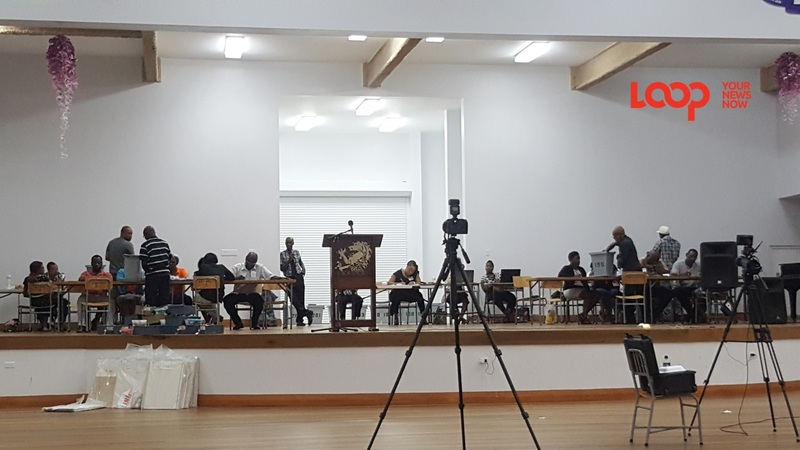 Mottley told her Party supporters gathered that schools will remain closed today because the Electoral and Boundaries Commission (EBC) could not return the institutions to a state conducive for learning in this short space of time. For employees, she said that the late win and the fact that today is Pay Day meant that the workday must go on, however, she has urged employers to close half-day. She has asked the business owners "to shut by 1:00 pm today" with the exception of supermarkets and banks.